Anselm Kiefer once said, “art is difficult, it’s not entertainment.” Indeed, when I first encountered Kiefer’s art at his retrospective in Royal Academy of Arts in London in late 2014, I found his art almost unbearably heavy and dark. His first retrospective in France is happening right now, and gave me a better understanding of his art. Now held at Centre Pompidou in Paris, the retrospective showcases 150 works by this 70-year-old German artist who emerged in the art scene of post-war Germany in 1969, spanning almost half of a century. Organized chronologically and thematically into 13 sections, the retrospective exhibits around 60 selected paintings alongside drawings, installations, artist’s books and 40 “display cases” of micro-fragmented environments or ruins consisting of broken machinery, rusty metal, old photographs and filmstrips. Firstly, the large-scale installation in the Forum of Centre Pompidou, Steigend, steigend, sinke niede [In climbing, climbing towards the heights, fall into the abyss] with materials resembling hundreds of filmstrips, symbolizes the exhibition as a film running backwards, which simultaneously echoes the perpetual theme of memory in the art of Anselm Kiefer. This links to another significant aspect of Kiefer’s art – the sublime and regenerative power of art. Kiefer explores the role of the artist after Nazism, with a drawn palette superimposed on a ruined landscape in Malen [To Paint]. As the bluish rain showered by the palette seems to be refreshing the burnt field, Kiefer illustrates the power of art to salvage and regenerate from the wreckage. Therefore, one could say Kiefer’s art is bipolar – it bridges joy and hope with gloomy catastrophic ruins. In the painterly Bose Blumen, the expressive colors of flowering meadows, with references to the poetry of Arthur Rimbaud and Charles Baudelaire, does not only witness the transformation of Kiefer’s art from monochrome black to a variety of colors, but also denotes cycles of perpetual regeneration as the essence of Kiefer’s artistic philosophy. This is reinforced by the final, site-specific installation, For Madame de Staël: Germany, with cardboard mushrooms indicating various German intellectuals sprouting from sands that are spread over a large gallery space in front of a painting of a dark forest that signifies Germany. With this latest piece indicating transformation and rebirth growing from his nation’s tormented past, Kiefer is determined to emphasize the transcending power of art. As Kiefer once said art may not be easy, as his art deals with the past, the present and the future in this complicated world. Take a chance to experience and understand Anselm Kiefer’s art at Centre Pompidou until 18th of April, 2016. Sitting in a building of fine and historical architecture on an art school campus, I talked to Victor Cord’homme, a young and green installation artist who is in his fourth year of art studies at this prestigious National School of Fine Arts in Paris (l’Ecole National Supérieur des Beaux Arts de Paris). As a traveller, Victor has been inspired to create installations that transform exhibition spaces into works of art and lead people to discover new spaces and possibilities. While our conversation started with his life at art school, both his artistic practice and his perceptions of the art world speak loudly to a global perspective, which has been constructed through his numerous travelling experiences. When I studied marketing at high school, I was very bored of it. Then, I took a gap year after high school to go travelling for 6 months around Asia. I went to Thailand, Cambodia, Vietnam, Laos, India and Nepal. At that time, I missed painting and drawing which I did quite much during my free time throughout my high school years. So I started to think about getting into art school and start art studies. That was my first point of revelation that I started to have the idea of doing art. 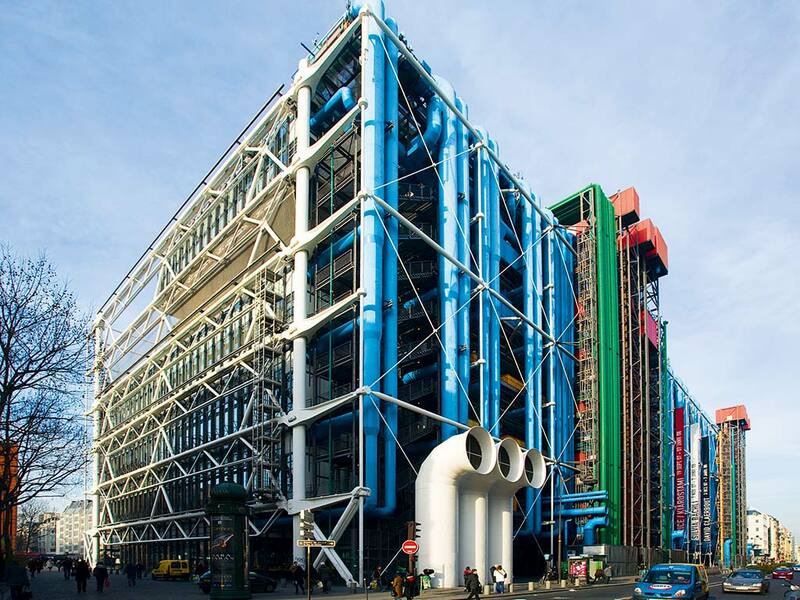 Then, I started going a lot to museums as my own art cultivation, such as the modern art museum of Paris and Palais de Tokyo. Paris is really a good place to get exposure to a lot of art, which gives me lots of inspirations. How did you get into the National School of Fine Arts in Paris (l’Ecole National Supérieur des Beaux Arts de Paris)? After travelling around, I went to a preparatory school in Paris where I did art every day. That’s a school for people who want to get into all the big art schools. There are various art streams, like fine art, decorative art and so on. It’s pretty competitive to get into the National School of Fine Arts, like 1500 people competing for 70 places each year. At the beginning, you submit your art portfolio of paintings or photos of sculptures. After being screened, then you can enter into later stages like a writing test, a drawing test, and finally an interview panel with three professors. Can you share about your life in the art school? What’s the most important thing that you learn in the art school? I feel the school is like my second home. The school is not just about getting knowledge, but about meeting people here and discussing art and our works with friends. Everybody tries to be an artist here and we’re helping and sharing with one another our views and experiences. I think art study is not easy at all because there [are] no definite right or wrong answers and it depends on the comments of people around you. The school actually is not demanding, like around 10 hours of classes per week, but we spend most of our time in studios making art. Studying art is about investing a large amount of time while you need to have knowledge of art history. But it’s also out of passion –all the people are being here because they liking doing art. And I enjoy the process as I try to do things that are interesting. One of the most important things that I learn here is self-motivation because nobody would push you to work. You wouldn’t be forced to do anything here. We learn art history here from many great art historians but you need to get some contemporary knowledge by exploring in museums or galleries yourself. Why do you focus on art installations? Because I like experimenting with different media including painting and sculpture, and I would like to mix several smaller pieces together into one big piece of art. Somehow it’s like matchmaking –a sculpture and a painting can be compatible and even make each other stronger. Sometimes when art pieces come together, they speak a lot more. Installation is interesting because it’s about how to see and interact with space. Painting is my major art practice, but for me, it’s not enough to involve the space around. With installation, I’m trying to create an environment which gets people to discover new spaces, encounter and observe different forms of life and ways of understanding life. How exactly do you achieve this with your art – to get people to discover new spaces and ways of understanding life? For example, with my diploma project in my third year, I created an interactive space that worked with sensors and computers, and there are sounds going on and when more and more people come into the exhibition space, the sounds would keep changing, and so the space would become different. Every person that came into the exhibition added two minutes of available electricity to the space. And I like taking natural elements from the outside environment, like wind, into the exhibition space inside. 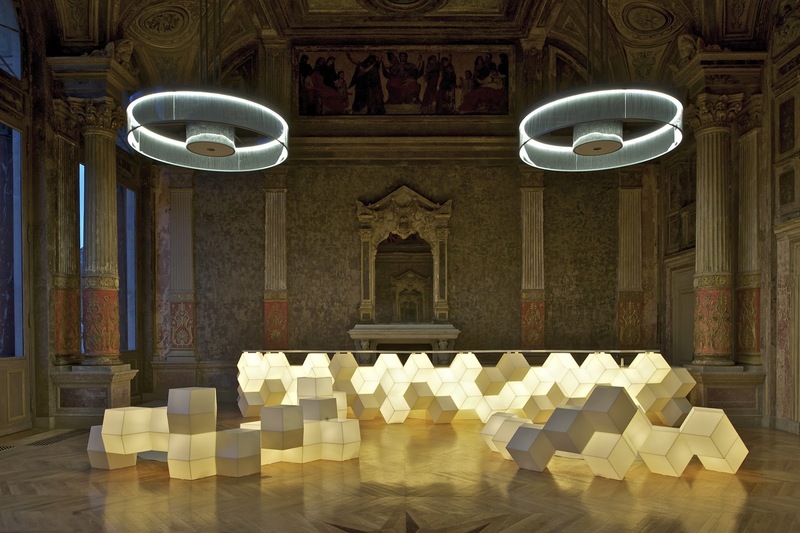 Also, I would try to make all elements connected in an installation, like in our environment. And I would not give out everything at one moment and people would have to come back at different times to discover new things from my installations. So I added lights to the installation so that the space and ambience would be different if people come in daytime or nighttime. I would like to show a temporal dimension of my works because I think time is an interesting material for doing art. The idea of exploring and discovering new spaces sounds like travelling. Do you travel a lot? How does travelling inspire your art making? I had a lot of fun travelling to many countries; I’m just back from Canada where I stayed for few months. Before that, I went to Japan for an art competition and I went to Turkey last year. It’s really interesting to meet and talk to different people and to share experiences. I don’t know how to speak about all the feelings from my travelling but I would like to translate these feelings by art. Art makes it easier to share my travelling experiences and people can feel the connection through my art, maybe unconsciously. Travelling is one of the most important things for me. Being an explorer of this world has given all my inspirations for my art –every time I come back from travelling, I always have new ideas. Can you share your most memorable travelling experience? When I was 19, I left my parents and I went to travel in India and met a lot of people there. Travelling there showed me the real side of life. It’s about meeting and talking to people and learning about their life. You’re in a different culture and environment. People would look at me curiously because I look different from them and some even came to me and asked if I could take photos with them. Any artists who have a particularly great influence on your perceptions and practices of art? First is the Canadian artist, David Altmejd. We’re not in the same way of thinking about art, but he’s my main reference. His sculptures are dense, tell stories and give lots of information. He’s a really interesting artist. There was his exhibition in Paris last year, and I saw his exhibition again in Montreal and could discover new things from his works. Also, I saw an exhibition of a Thai artist, Korakrit Arunanondchai, at Palais de Tokyo this year. He was making a huge installation with paintings and mannequins put in an interesting way. Actually, I didn’t like his formal way of doing art but his ideas are more interesting. How does your art interact with the French contemporary culture? I think my art does not specifically interact with French culture, but rather the global culture. I don’t think art has to necessarily relate to a certain culture. I prefer to work in global culture rather than just French culture. And we’re in a world of globalisation; everything is mixing and exchanging. I’m more into exploring and mixing several cultures. Interesting perspective! So do you see yourself as a world citizen? Yeah, I think I’m more a world citizen… I’m happy to say that I’m French and I’m having the colours of my flag on me. But actually, I’m French-Danish as my father is French and my mother is Danish. So I have double nationalities and I grew up in both countries, so I’m not solely French. And I also like travelling so much — I like to feel home and meet friends everywhere I go. So I think being a world citizen is more interesting; it’s about your way of acting and it makes your mind more open to different things. I think the contemporary art world is very different from the 19th or 20th century when there were prevailing art movements. There are now a lot of different directions happening because there are way more artists and more communication. Everything can kind of be contemporary art, it is way more diverse. Every direction can be interesting, and you need to discover and show to people new ways of thinking. Another thing in the contemporary art world is the need to deal with speculation in the art market, but I think that’s not totally a bad thing. How do you perceive yourself as an artist? I don’t like to say I’m making art pieces… I think I’m kind of trying to be an artist… Being an artist is a huge thing for me and I don’t like this definition. I think I’m just someone who’s thinking and proposing something while using art to show it. I don’t mind if I’m being seen as an artist or not, and I think someone becomes an artist when everyone around sees him/her as an artist. EXPERIENCES Art Fair: No More Galleries? In a brownfield site of 3000m2 in the centre of Paris, the first edition of EXPERIENCES Art Fair is born. The art fair set out with an initiative to annually promote contemporary creation in empty buildings of the French capital, in partnership with a real estate group which provides the venue. This unique event features works created by more than fifty artists especially for this purpose including large-format photography, sculptures, video installations and urban art. Committed to redefining obsolete codes of traditional art fairs, EXPERIENCES Art Fair offers an innovative and immersive panorama to reconnect the public with the artworks. At the same time, it aims to change the [normal] economic model of an art fair since all works are available for rental as well as for sale, and the organiser is directly funding art projects without galleries as the intermediary. In addition to selected French and international artists, this first edition of the art fair has also invited young Israeli contemporary artists while it presents simultaneously ten French artists in a hotel venue in Tel Aviv, Israel. The venue and ways of display have lived up to the expectation of being unusual as the name of the fair may have denoted. The exhibiting venue is three storeys and can be described as shabby (but in a cool way, with hipster aura) compared to the usual setting of major art fairs (which can be bright and grand but perhaps more intimidating). The first floor is a large, dimly lit, long space, scattered with installations throughout. I was mainly fascinated by Alena Gaponova’s paintings in a room at the very end because they give different visual representations when colours of the lights in the dark room change –at one point you see a woman’s face painted on the canvas but the next moment it changes and you see a man’s face only. On the brighter second floor, which is mainly dedicated to photography works by various artists, Maximilien Franco’s “InsideHEADphones” project stands out. It invites visitors to put on the headphones fixated in front of each photograph that depicts an anonymous passer-by in the street listening to music with his/her headphones. By listening to the same music to which the portrayed strangers were listening when the photos were taken, we can suddenly intrude into each of their personal worlds, as if a strange intimate link between the viewer and the subject is created through the music or songs. At one moment during the vernissage, while fair-goers were chatting with friends and enjoying their glasses of wine in front of photography works, the light was suddenly dimmed and a team of performers came down the stairs, with the majority of around ten women wearing only underwear but each of them tied to an ironing board. They lined up in the middle of the exhibition space and started to perform [the act of] struggling to free themselves from their ironing boards while all visitors gathered around and paid full attention with the aid of mobile phones or cameras… This live performance, as I perceived, was probably about the emancipation of women from their family roles and social stereotypes. Besides the live performance art, observing other people’s reactions could be seen as part of the interesting “experiences”. The top floor is for larger sculptural and installation works, but unfortunately, I have to say that the display on this floor did not seem as carefully curated and exposes incoherence. This can be a slight weakness when such an art fair is without any booths and artists just bring their own works to be exhibited next to one another in the same space, unlike any curated exhibition. On the other hand, several rooms at the back provide wonderful spaces of creativity, where one artist occupies and designs the setting and display of each whole room. On the whole, the concept of EXPERIENCES Art Fair is innovative and has provided an alternative experimental platform to traditional art fairs. It has also demonstrated the creative energy in Paris, still being a breeding ground for young talents and an indispensable contemporary art scene. So come to experience this unique art fair from 28 November to 6 December 2015, it’s free entry anyway – also unusual for an art fair! Facing the pain and fear of the bloodshed in the French capital, art is here to heal. After the terrorist attacks in Paris on 13th November, people all around the world show their solidarity with this city, with many stating “pray for Paris” on social media while others do not much like this religious note. Street artists show their love and support in a unique way –#sprayforparis. Street artist Goin started the hashtag #sprayforparis on Instagram with his artwork illustrating a muse resembling that in Eugène Delacroix‘s painting, Liberty Leading the People. Instead of holding a French national flag, Goin‘s muse is holding a paint roller dipped in the French tricolours, and the caption reads “The paint must flow, not the blood!” Many other street artists from different places echo this call with their talents, not only in Paris or France, but even as far as Melbourne, Australia. One week after the incident, I went to the Place de la République where people come with flowers and candles in memorial of the victims of the attacks. Then, I saw an artist spraying on a wall in the square, presenting colourful forms and words in French meaning “yes to life…” while on the other side, large graffiti on a black background with white font states “Fluctuat nec mergitur”, which has recently caught much attention on media . It was painted by a team of Parisian graffiti artists called the Grim Team. The team also made a similar piece in another spot by the Canal St. Martin, on the other bank where people come and gather in silence in front of the restaurant and café that endured horrifying attacks. But what is “Fluctuat nec mergitur”? It is the motto of Paris in Latin, translated as “tossed by the waves but does not sink”. This motto is present in the city coat of arms depicting a ship floating on a rough sea, which can be seen in a recent piece of street art by yearz1 too. Both the motto and the city arms had been used for centuries by the powerful river Seine’s boatsman corporation, which ruled the city’s trade and commerce, before they were made official in 1853 by the Baron Haussmann. The artists have revitalised this centuries-old motto in a cool way, reminding heartbroken Parisians of this tough and persevering spirit. On a wall right opposite the attacked restaurant and café, Fred le Chevalier, a well-known Parisian street artist who also lives in that district has stuck a figure dressed in black and white, holding a candle in her hand and a heart-shaped teardrop falling from her eye. The figure is able to cover some of the bullet holes in that wall. Being much lighter compared to the heavy atmosphere just metres away, his art offers comforting compassion to this miserable corner of the city and the devastated people around it. Near to this spot, another street artist juxtaposed the legendary Parisian photo The Kiss by the Hôtel de Ville with red paint on the couple symbolising gunshot wounds, alongside French words written in red meaning “not even hurt”. The message is simple but compelling, that the love represented by the kiss would not be hurt even by brutal terrorist shootings. All of these beautifully painted walls in the streets may not have comparable monetary value with the so-called “high art” that is being sold for millions in auction houses, but they are simply invaluable. These artistic walls are there to show love and support and to spread mighty spirits and positive energy, particularly at this difficult time when people in the city are most in need. There should not be any walls, or wars, to divide humankind, either by religions, races or nationalities. The walls are to defend those previous values and virtues of human civilisation which are the best weapons to counteract terrorism. So, yes, leave paint, not pain, on these walls; let’s spray not only for Paris, but also for Beirut, for all the suffering people, and for a brighter world!